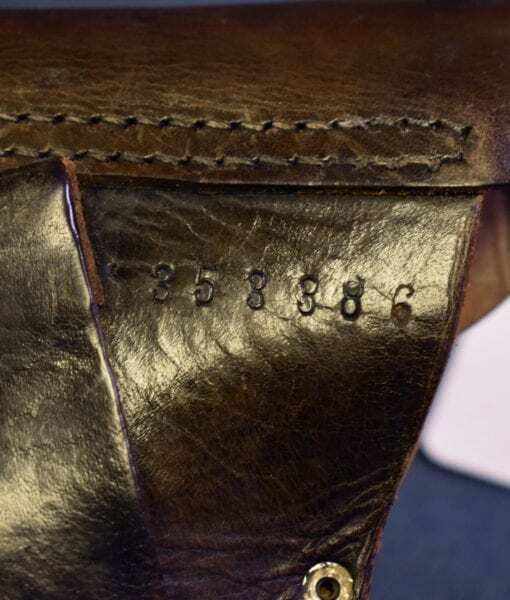 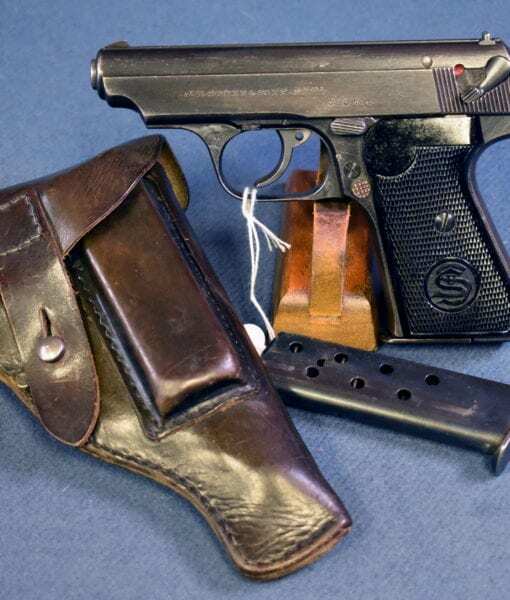 SOLD SAUER 38H PISTOL…..”NAZI POLICE EAGLE/C”….MID WAR FULL RIG WITH NUMBERED HOLSTER…SHARP! 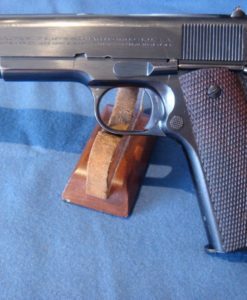 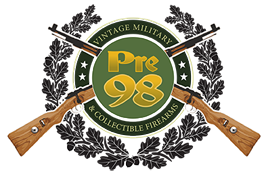 In 96% sharp condition, we have an extremely desirable 1942 production Sauer 38H Pistol, Police Eagle/C marked, fully rigged out with a matching Police Eagle/B holster and the spare magazine. 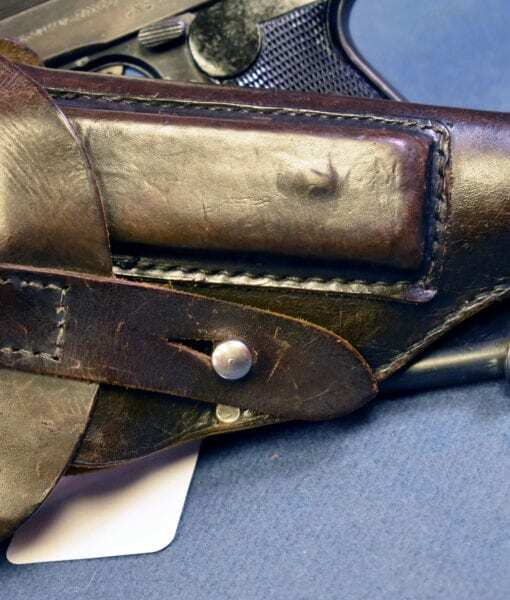 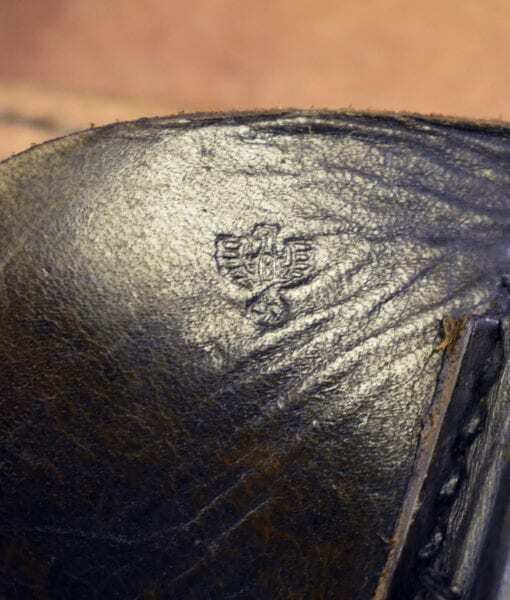 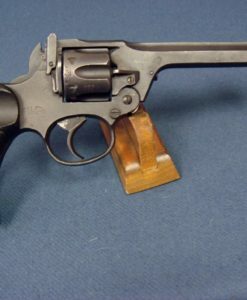 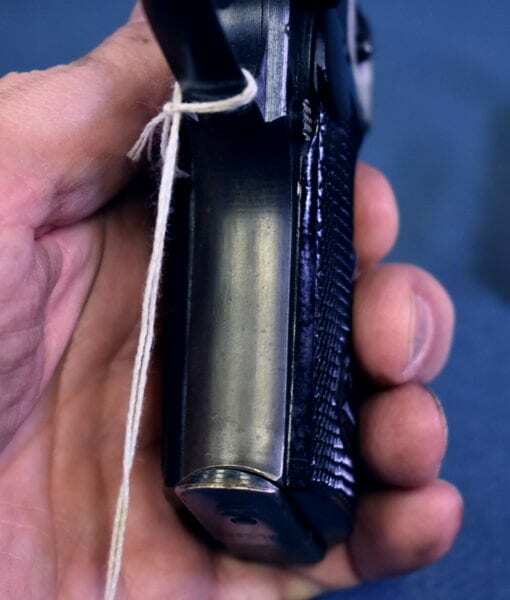 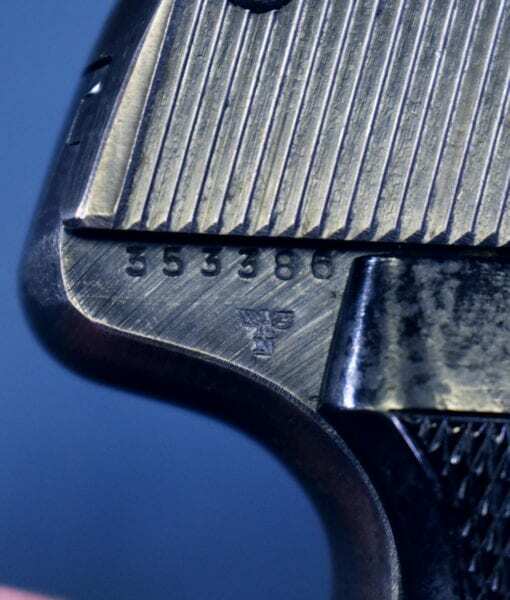 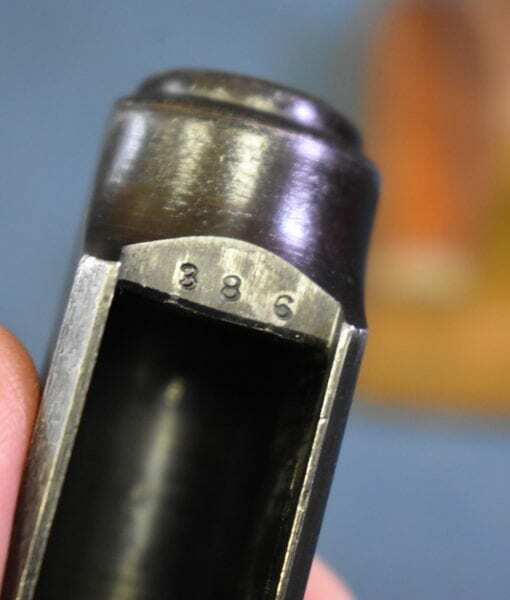 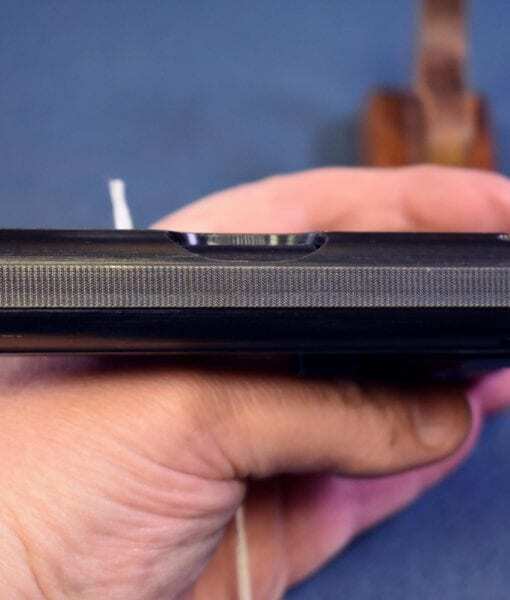 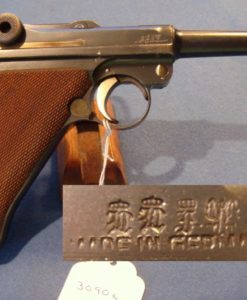 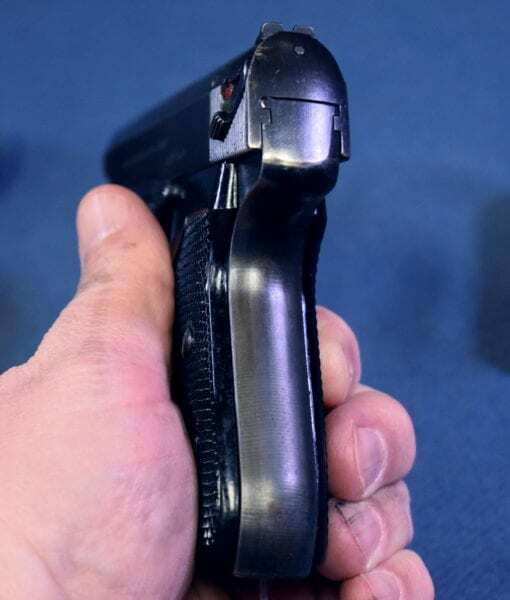 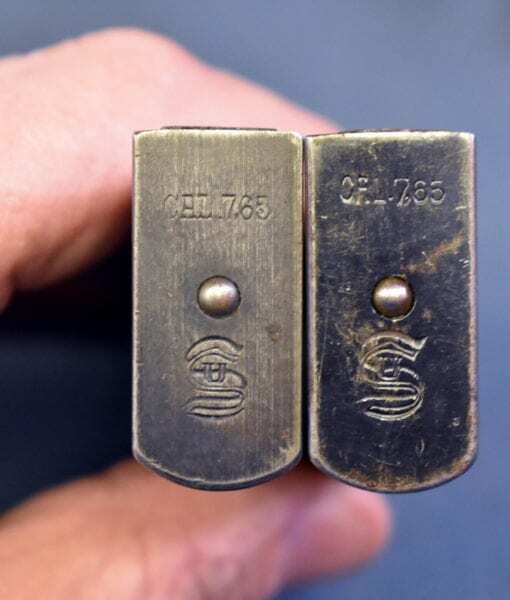 This pistol also has the early Police Modified lowered magazine release, which was milled down and re-checkered per Nazi Police Armory regulations to reduce the risk of accidental mag release. 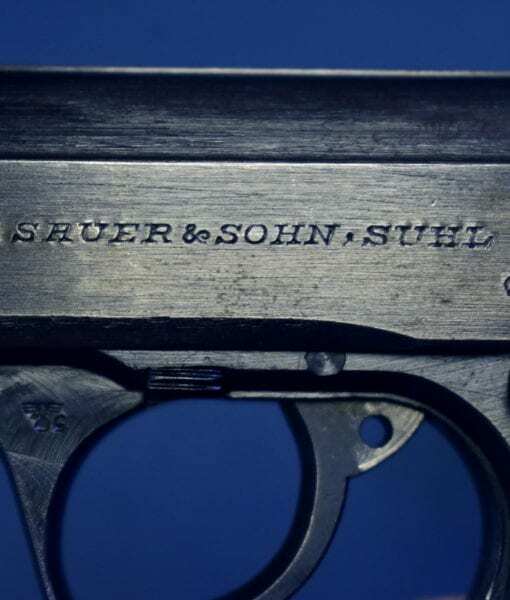 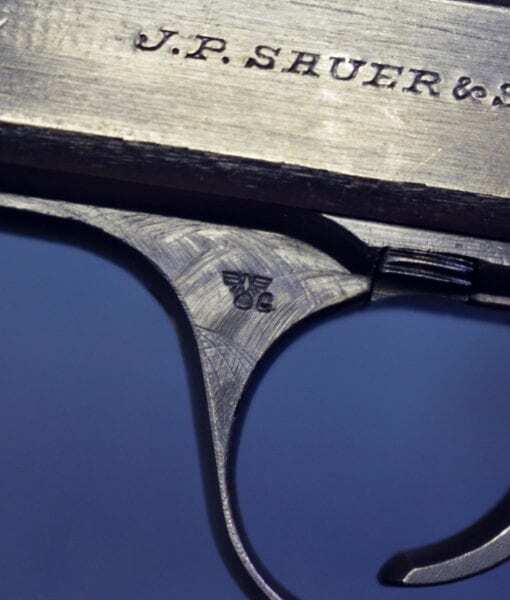 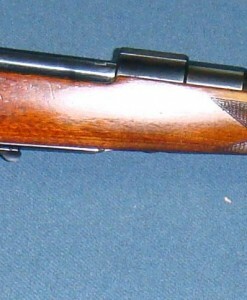 The Sauer 38H was very popular with the Nazi Police apparatus and was widely issued to the Police Units in the occupied territories. 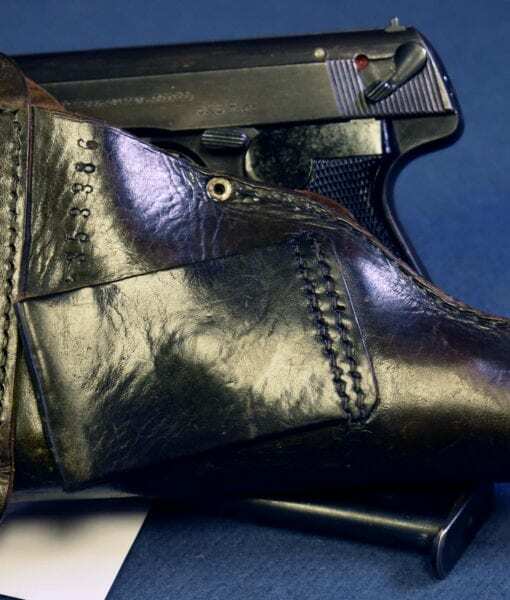 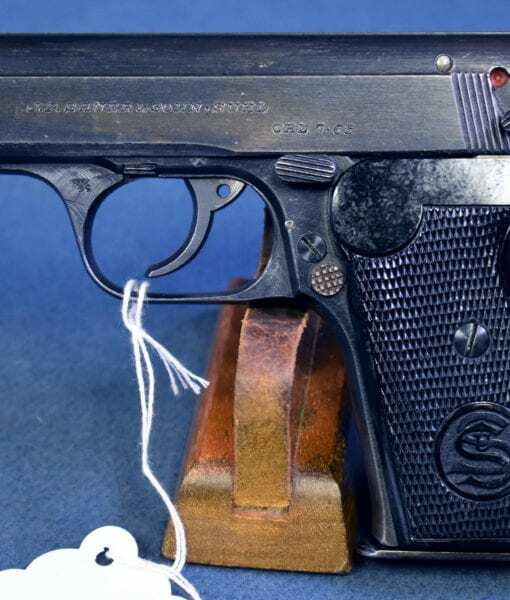 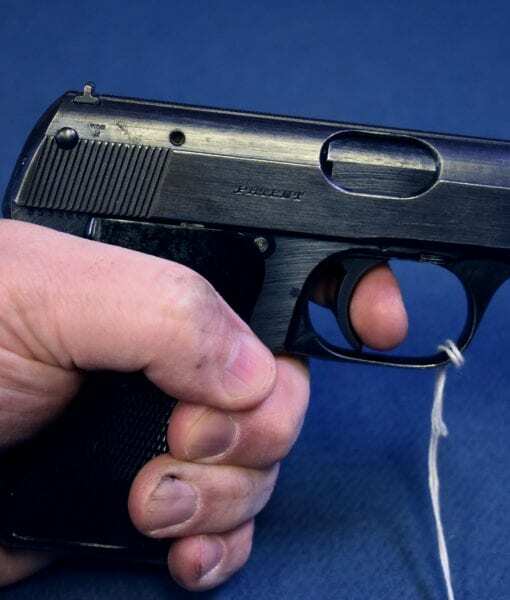 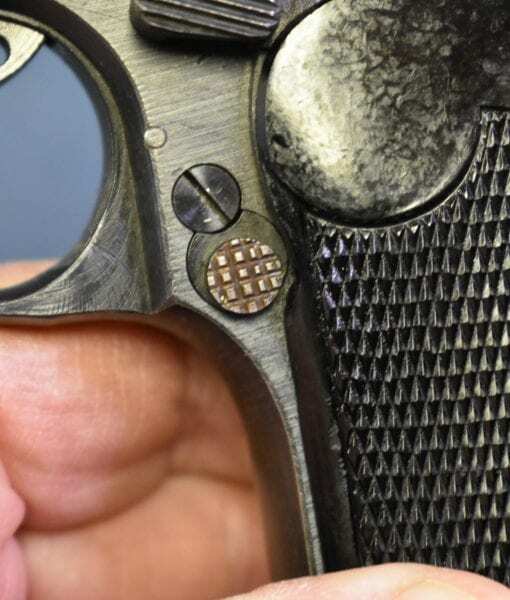 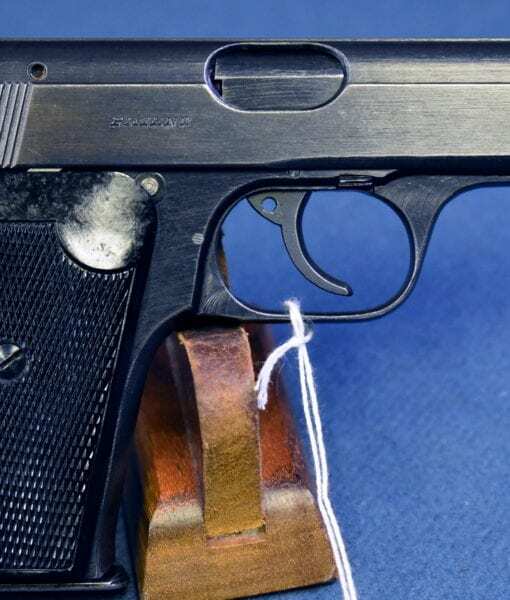 This pistol was certainly at the apex of pocket pistol design; and nothing has been made that is any significant improvement in the past 75 years.